At Brooklyn Law School conference dinner this evening talking about Stolen Legacy with college President, Dean and Professor of Law Nick Allard. Packed room all listening attentively to my every word! Very nice crowd. Loved meeting everyone and hearing their stories. Interesting questions too. 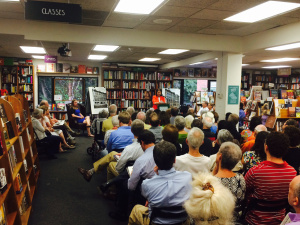 It was standing room only at Politics and Prose when I spoke about my book. Plenty of people were already in their seats when I turned up half an hour before my event was due to start. They listened attentively, laughed at all the right places when I read extracts from my book and asked interesting and perceptive questions. It was a very fine start to my book tour. I nearly forgot to mention…lots of books were sold and I signed plenty of copies. Politics and Prose in Washington DC now has my book in stock. It’s on the middle shelf of the “New Non Fiction” section. And there were only two left. I signed them both and a staff member stuck a sticker on saying “Signed by the Author”. 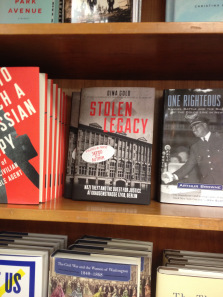 Stolen Legacy is just above “Capital Dames” by Cokie Roberts. Slightly to the left is “Ally” by Michael Oren. 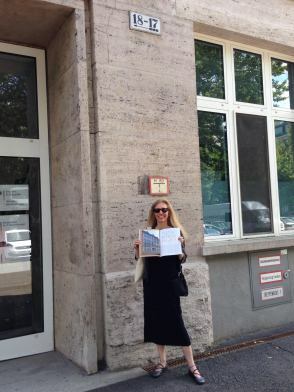 Last week “Moment” editor, Nadine Epstein, was in Berlin. She took the opportunity to pay a visit to the former Wolff family building – once the headquarters of a thriving international fur business. And luckily she had a copy of the May/June edition of the magazine with her. Holding open the page where my article about “Stolen Legacy” begins, she could compare the glossy full page picture of the property with the building she was now in front of. Jonathan Malysiak, executive editor at the American Bar Association’s new imprint Ankerwycke, gives an insightful interview to Deborah Kalb today. Top executives at ABA Publishing realized that, in order to expand its readership base, they needed to appeal beyond just lawyers and reach out to the general non-lawyer audience. To date, this has been an under-represented niche in the publishing world. But in the current publishing climate it is, of course, practically unheard of for a publisher to be launching a brand new imprint. But ABA is perfectly positioned to do just that. 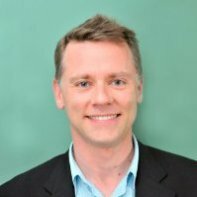 As the author himself of Lead Me to Success in Publishing, Jon understands the book business from both sides – as an editor and a writer. That makes him all the more sympathetic to the stresses and strains experienced by authors. And I can personally testify to his abilities on that front! Ankerwycke’s 2015 debut list has 10 titles ranging in subject matter from fiction, memoir, true crime, business, history, biography and sports. All very different but all with a common theme – a connection to the law. 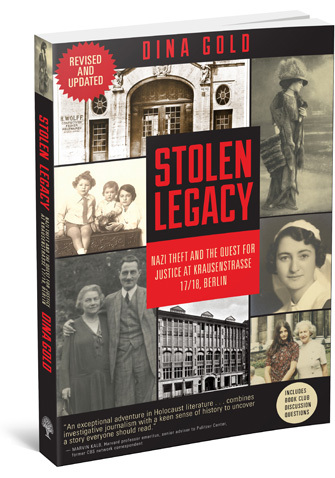 And Stolen Legacy is one of those ten new books! The 2016 Ankerwycke list is now on track to double in size. Honored to be in such good company!